The Lelani is the ultimate personalized sleep experience. This mattress features patented immediate response technology and pressure point relief. The Lelani is available in each of the firmness levels. It’s the ultimate in support due to the pocketed coils providing comfort and contouring for you. Choose which your ideal comfort level and prepare to be amazed at how well you sleep! 1.5" Titanium Infused Foam - This layer is a soft hyper-elastic foam made to absorb motion. An antibacterial TitaniumGel infusion and Adaptive cooling fabric create a sleeping surface that sleeps cool and stays fresh and clean. 1.5" Serene Foam - The Serene foam layer is soft and contouring to cushion your body. 1.5" High Density Support Foam - High density support layer provides support and protects the soft upper layers from the supportive coil layers beneath. 8" Quantum Edge Pocketed Coils - Coils are individually pocketed to isolate any motion and react to your body. This superior engineering means fewer disturbances during sleep. 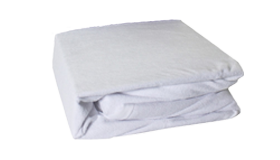 1" Base Support Foam - Another protective and supportive high density support layer provides a base for the individually pocketed coils and protects the longevity of your mattress. This layer is a soft hyper-elastic foam made to absorb motion. An antibacterial TitaniumGel infusion and Adaptive cooling fabric create a sleeping surface that sleeps cool and stays fresh and clean.